Kalidou Koulibaly has changed his agent in the hopes of seeking a lucrative deal in the near future. The Ivory Coast international is perhaps the most in-demand central defender in the transfer market at present, with the likes of Juventus, Manchester United, PSG, and Real Madrid currently said to be interested in his services. The player signed a new deal with Napoli only last summer, however, and it is set to keep him tied to the Serie A club until at least 2023. The Naples-based outfit is, therefore, under no obligation to sell the 27-year-old. Manager Carlo Ancelotti wishes to hold onto his star man as well, but club chairman Aurelio De Laurentiis has refused to rule out the possibility of a departure. 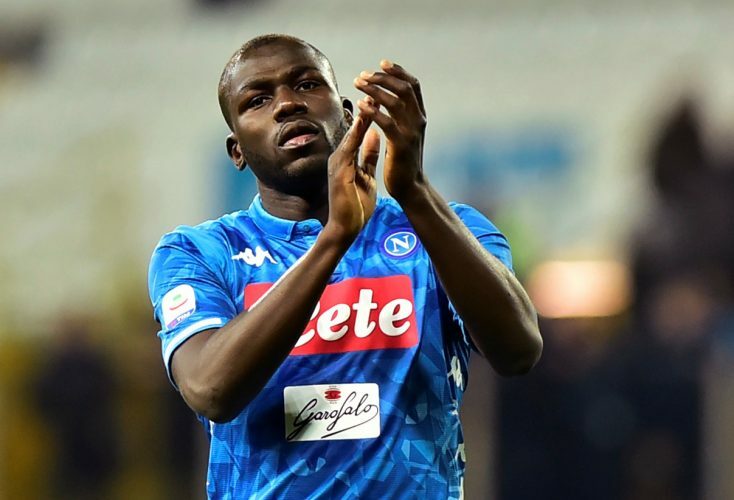 Napoli might end up accepting a bid for the centre-back if they receive an offer in the region of £90-100m, which is a very likely scenario considering the heavy interest Koulibaly has attracted of late. The defender himself seems to be preparing for a sensational transfer in the upcoming summer transfer window, as evident from the changes he has recently made with respect to his agency. According to the Independent, Koulibaly parted ways with his former representative, Bruno Satin, late last year. His own brother has been hired as his agent thereafter, as the African superstar now seeks a new life-changing contract. Heading to a new club in the summer could easily see the former Genk man become one of the highest paid defenders in world football, and his new agent shall ensure that Koulibaly does get the best deal possible.